Home-delivered cocktails in a box, gourmet salt, watches and books; these are just a few of the things brought into reality by crowdfunding. Not just a quirky way to raise money any more, crowdfunding is now a mainstream fundraising model for businesses globally. Including Australia. So where’s its place in the food & beverage industry? Can anyone crowdfund for their business? Here’s some food for thought as to whether crowdfunding is right for you. However, before we look at crowdfunding platforms, how they work, what makes for successful crowdfunding, its application to food & drink, and what’s in it for the crowdfunders, what is “crowdfunding”? Basically, crowdfunding is when many people each contribute (usually small amounts of) money to a start-up business or project. So lots of small contributions from many people — the “crowd of investors” — adds up to a large amount of money. This then either gives the business the capital to get off the ground, or the entrepreneur enough funds to get their new idea up. In its early forms, crowdfunding was a funding model for arts, music and performance projects. However, now, beyond those formative arts-orientated projects, crowdfuding is now used by those in fields as diverse as technology, food-and-drink production and beyond. 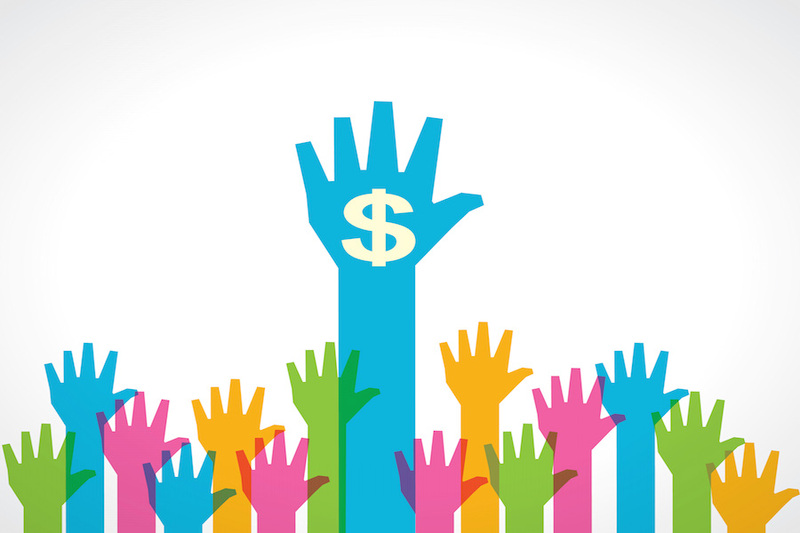 So what is a crowdfunding platform? Crowdfunding platforms give you an ability to reach a wide audience with a new idea — despite the fact you may not have a lot of money. Not only do these platforms help you overcome this hurdle and put you in front of people who want to fund your idea or project, they’ll probably also provide you with lots of future customers for your product (i.e., they’re usually the same people). There are quite a few crowdfunding platforms — naturally online. Through these you can introduce your idea, and, if you market it cleverly, you’ll attract enough interest from enough people. Quite simply, if people believe in your idea and think it’s a viable proposition, they’ll back it. So how do crowdfunding platforms work? Crowdfunding platforms — such as Kickstarter, Pozible and Indiegogo — charge a percentage of the funding raised as a service fee. For example, Pozible charges a 5% fee on total funds raised up to $100,000 and 3% on total funds raised of $500,000 or more. All or nothing: You define in advance how much money you need to make your project viable; if you don’t raise the specified amount, it doesn’t go ahead. Flexible-funding model: You can keep any amount that investors put up, which you can use to supplement other funding sources. Kickstarter is probably the most well-known crowdfunding platform. It began in 2009 with a focus on arts and design, but now accepts a wide range of product submissions — including in its food-and-drinks category. So why do people put up the money? So what the investor gets in return, depends on the crowdfunding approach you’ve used. Donation based is probably what most people understand as crowdfunding. But while people give you money, it’s in exchange for something, such as a gift card or discount voucher to spend with your business. A lot of businesses offer discounts for the product itself. Equity-based crowdfunding is where people invest and you give them for equity, while debt-based crowdfunding is where you ask people for money in exchange for a financial return at a future date. The United Stakes, United Kingdom and New Zealand have all been quick to embrace these forms of crowdfunding. There are lots of options: just think about crowdfunding a movie, where you could give people the opportunity to place their products in your movie, for instance. Crowdfunding ideas come in all shapes and sizes. So what about crowdfunding for food & beverage? Kickstarter claims to have attracted more than 11 million investors who have funded more than 105,000 individual projects across a broad spectrum worldwide. Pretty impressive. And that includes food & beverage (indeed two of the examples I gave at the top are food or drink). The luxury gourmet salt collection comes from UK company Salt Of The Earth. The collection brings together salts from around the globe — including Persian Blue from Iran, Oak Smoked from Italy, Murray River from Australia — and the company proposes to market them in a beautiful luxury wallet. And what makes for successful crowdfunding? Finally, what makes crowdfunding a success? Like anything, there’s a myriad factors that can lead to a successful result. Many put their accomplishment down to being able to engage with the crowd and draw people into their vision. Smart watch maker Pebble seems to have this down pat. The company has had two of the most-funded campaigns in crowdfunding’s history. Indeed, according to gizmag.com, campaigns for Pebble and Pebble Time smart watches broke crowdfunding records. And earlier this year, the tech maker hit Kickstarter again to launch upgrades of its raging successes. And as Kickstarter spokesman Justin Kazmark told Mashable.com, backing a project is not “buying a product” it’s “investing in a product”. “Just because a campaign hits its financial goal doesn’t mean the project will be successful.” In April this year, those words were spectacularly the case with Kickstarter’s former hit Coolest, a “souped-up cooler” which went from “Cinderella story” to up in flames. Sometimes campaigns can seem to fail then because of the social media, the project actually comes to life in the end. Managing a crowdfunding campaign can be an intense activity. Get it wrong and you may have wasted lots of time and effort that could have been invested in other business activities. But get it right and the rewards can have a direct impact on the success of your idea or product. Matthews has a whole resource library of chocked with whitepapers, articles from our thought leaders, presentations, infographics, our YouTube channel and so on. All material from our resource library is free to download. Matt Nichol is a Key Account Manager at Matthews Australasia. A laser marking expert with in-depth knowledge of product ID technologies, Matt is a regular at international trade shows, such as Pack Expo, and is constantly looking at emerging trends and technologies.